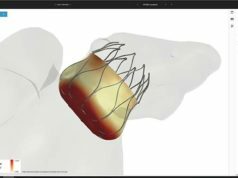 Boston Scientific has announced the first patient enrolment in the EWOLUTION registry on Watchman outcomes in real-life utilisation. The patient was enrolled by Evgeny Pokushalov and Sergei Artemenko from the Blood Circulation Pathology Institute in Novosibirsk, Russia. EWOLUTION is a multinational, prospective, multicentre, post market registry aimed to collect data on procedural success, incidence of stroke and mortality of patients implanted with a Watchman device. According to a company release, the registry will enrol approximately 1,000 patients across 50 centres in 16 countries. Boston Scientific expects to present preliminary first data from the EWOLUTION registry by 2015. The Watchman left atrial appendage closure device received the CE mark in Europe in 2005.